In brief: The daunting lines have dissipated, and now is a pleasant place to eat. Not that it was UNpleasant before, the lines in its first months of opening where too long to bear. Now it seems those days are long gone (maybe we just got there at the right time). Regardless, the food is as always consistent and remarkably good for being semi-fast chain. 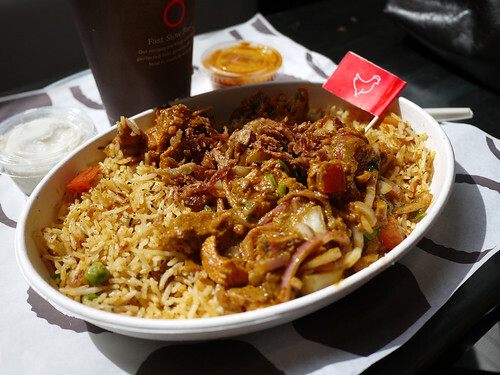 We tried the biryani bowl this time, just to change it up and enjoyed it. It would be nice if in the future they had some seasonal specials for a little more variety.